It is also a major product search engine affecting the success of millions of sellers. As a result, it is highly competitive, so most Amazon sellers employ a wide variety of marketing measures to maximize their conversion rate and profits. Sellers continuously optimize their product pages and utilize Amazon advertising. Amazon is a fantastic platform that you can leverage to increase your sales; there are some really useful tactics available to help you build your business. As an Amazon business owner, you have to understand the resources available and take advantage of them to drive more sales. If you are not sure about what tactics to try, you are in the right place. We will elaborate on this topic and share 9 simple Amazon marketing tips to boost your sales. First and foremost, you have to understand and follow the rules and regulations that Amazon has put in place. 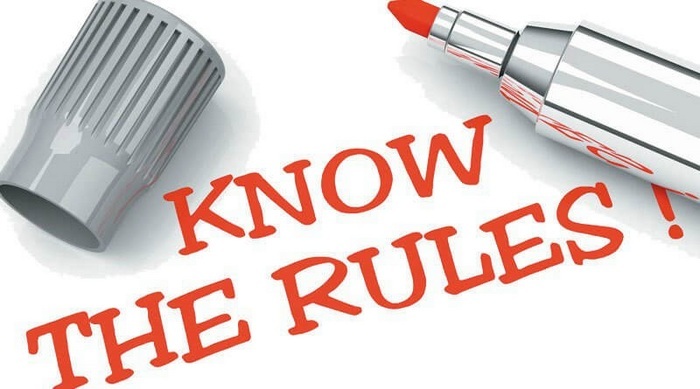 These rules and regulations are the ones that define the destiny of your business, and you need to follow them because you don’t want your account to be banned. They will greatly affect your business if you are not complying with them. As an Amazon seller, these rules and regulations will impact your business’s performance as you will likely get penalized or suspended for a violation. These rules are easy to understand, and you can find them when you log into the seller central account. All the policies related to different seller activities are clearly described. Read them carefully and keep them in mind so that you know you are following the rules and avoiding possible penalties. As we know, all buyers will judge the product via all the info on its product listing page. As a result, wise Amazon business owners put a lot of effort into creating the product listing page. It should be the first step, be it for the PPC campaigns or sales promotions. It leaves the first impression on online visitors. The product listing page includes the product title, images of the product, features, product descriptions, etc. Your product’s listing page is similar to a website landing page, and this is why you should spend time and money optimizing it to maximize traffic and sales. Sellers are allowed to demonstrate the detailed info of the products. Remember to create authentic product details to connect with customers. Customize your product listing with excellent pictures and great details. To enjoy a higher ranking, optimize your product listing with an enticing product title. To take advantage of the Amazon algorithm, remember to place all relevant keywords at the appropriate place. Normally, it is the title that makes a difference to your rank in the results; 2-3 keywords in the title is the best. Also, remember to describe your product with calls-to-action to promote your sales. If possible, you can mention guarantees and refunds to cement the customers’ confidence in their buying decision. In the feature part, remember to present the benefits of the product; sell the benefits of your products to boost your sales. Additionally, remember to get more and more positive customer reviews for your products as they will drive your sales. 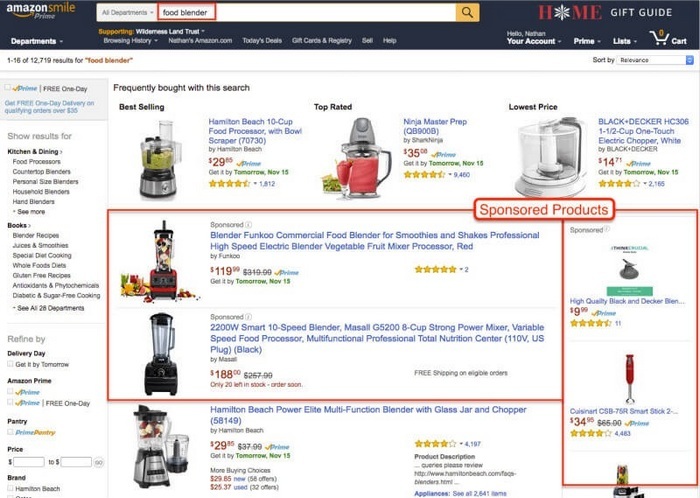 When you sell on Amazon, product images matter a lot for ranking purposes. The main image shows up on the search result page of Amazon and is a major driver for the traffic to your website. 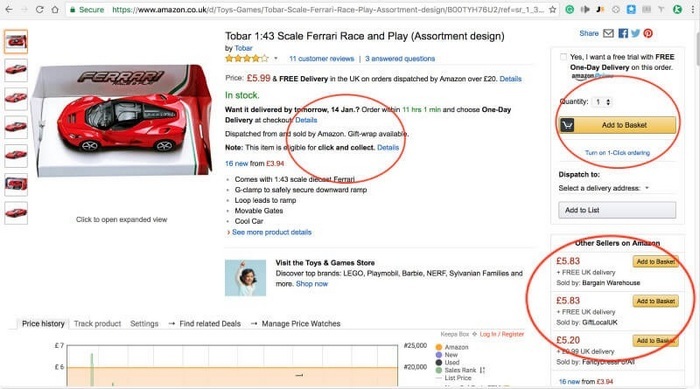 As a result, you have to optimize your product images for a higher Amazon ranking. Normally, high-quality images will bring more sales and a higher conversion rate. To optimize your product images, you have to follow the Amazon product image rules. Leveraging the Amazon platform, remember to make the best use of the zooming function by using high-resolution images. Images help the customer to judge the practical experience of the item and make sure it meets their expectation. Secondly, remember to select the best picture as the main image as this one will be shown on the search results page. Remember to use images to show the product from various angles and perspectives; this offers a better purchasing experience for your customers. Show the product’s special designs and benefits to attract customers’ attention. If possible, you can put your product in a human context to bring the image to life. What’s more, you can also attach important info on your product images to highlight the benefits of your product and the difference between your products and the others. Showing your product’s competitive advantage will expand its market potential by demonstrating its uniqueness. Amazon Sponsored Products is one of the most powerful marketing tools for Amazon sellers. To increase visibility and conversion, Amazon Sponsored Products, allows you to buy space at the top of the Amazon search results page to showcase your item. There are two types of campaigns for Amazon Sponsored Products – an automatic campaign and a manual campaign. 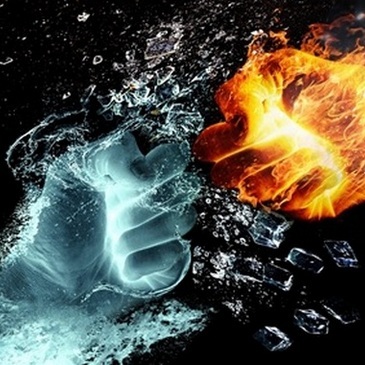 If possible, you can combine these two types of campaigns for a better result. For an automatic campaign, you only need to set up the basic data, and the Amazon algorithm will work for you. While for the manual one, sellers have to define the ad budget and the campaign duration and determine the keywords. A manual campaign allows the sellers to target a potential audience much more accurately and precisely. When you decide to use Amazon Sponsored Products, put the keyword first. Always remember to prepare a list of keywords including short keywords, long-tail keywords, and negative keywords, etc. Compiling this list is a must if you are planning a manual campaign. Besides, you have to create a well-structured campaign to deliver the best possible sales and conversion rate. If possible, you can group your products given their difference and similarities. Given the rapid change within the Amazon marketplace, you have to adopt a repricing strategy to cope with the increasingly competitive pricing battle. Repricing is the most commonly and widely used strategy for most Amazon sellers. It can be done both manually and automatically via a repricing application. For a profitable business, you have to know the costs behind the retailing price. When you decide on your repricing strategy, remember to check the supply and the market demand. If a new item enters the market and is popular, its price will increase accordingly. You also have to know the production costs of your items. Generally, this will include raw materials, research, development, manufacturing, etc. Sellers should determine their lowest price and maximum price by understanding the production cost versus potential profit. If you sell on Amazon, you also have to take the cost of selling on Amazon into account. What’s more, the order fulfilment and storage cost along with promotional expenses should be considered. With the highly advanced technology, you are allowed to set your repricing rules to enable the application to change your prices constantly. Repricing is a great way for Amazon sellers to stay competitive in the market by the adapting price to increase sales and conversion rate. Marketing is a straightforward method for Amazon sellers to reach to target customers. You can market both on the Amazon platform and outside of Amazon too. Promoting outside of Amazon allows you to bring customers to your Amazon page via other channels. There are various ways to attract customers; you can leverage your social channels for sales by offer coupons to your subscribers on YouTube or other social media channels. You can reach out to the YouTube influencers to promote your business. Find the influencer you believe fits your products well and agrees with your values. Additionally, blogging is another free option. You can write a blog for a special niche and promote it with special offerings. What’s more, Amazon sellers can make full use of the social networking service for business promotion. For instance, you can promote your business on Facebook, Instagram, etc. Working with the influencers on social media platforms will also lead to increased traffic and sales for your products. What’s more, you can also use the ad service on social media platforms to promote your business. You are allowed to utilize Google Ads and Facebook ads to promote your business. The purchasing experience you offer for your customer is another factor that influences your business. Sellers have to go out of the way to stand out within the increasingly intense competition on the Amazon platform. You have to show online shoppers what it is that makes buying from you unique. You need to leave a good impression on your customers to attract them to keep buying from you. Great customer service creates a brand reputation for your store and customers will recommend your shop to their relatives and friends. Word of mouth and personal recommendations are free and trusted advertising, and it will increase your sales. To offer the best purchasing experience, you have to make your business transparent to your customers. You have to ensure the quality of your products, the raw material, shipping policies, return and refund policies. Making sure these things are of good quality and efficiently managed will gain the customer’s trust. Make sure your brand is trustworthy and invest in customer delight. You can send a handwritten thank you letter in the ordered package, send a personalized follow-up email, etc. Additionally, you have to carry out a follow-up personally. Write a personalized email to them, trying to nurture a relationship with your customers for repetitive purchasing. If possible, you can encourage these buyers to share their buying experience on the customer review section on your product listing page. What’s more, you can share your special story with your customers about your products, business, partners, the manufacturing process, etc. It will help build trust with your target audience. For Amazon sellers, a customer follow-up system will make it easier for your business. It will help you encourage customers to share their buying experience. The feedback from your customers plays an important role in your business. As we know, the ready-to-buy online visitor takes reviews from previous buyers seriously, and they are very likely to trust the customer reviews. The number of customer reviews defines the popularity of the item. The quality of the customer feedback determines the quality of the buying experience you offered and the quality of your products. As such, it is imperative for Amazon sellers to build an email follow-up system. If you are ready to establish an email follow-up system, remember to keep things simple. Make the system easy and actionable to your customers. Making the process easy will increase the number of customer reviews for your products. Besides, remember to be creative with your follow-up emails. You are allowed to add the customer’s name, emojis, or personal questions to stimulate your customers’ curiosity to open these emails and read the content. In addition, you have to adapt your writing style to suit your audience, using familiar terms to build trust and show a personality. What’s more, you should not spam your customers. Make sure your email carries good info for them to ensure the successful delivery of your email. 90% of sales go to the Amazon Buy Box holder according to the statistics of the past years. As a result, millions of Amazon sellers are scrambling to be the Buy Box winner. If you are the winner of the Buy Box, your products will be bought automatically when the online shopper clicks on the “Add to Cart” or “Buy Now” buttons. To win the Amazon Buy Box, you have to be eligible according to the Amazon regulations. First and foremost, you have to register a professional seller account, and your business must have been operating for at least 90 days. Apart from these two factors, the order fulfilment method also matters; you need to be in the Amazon FBA program to win the Buy Box holder. Also, remember to keep your landed price affordable. Set up an affordable price and have a reliable shipping service for your business. Offer great customer service, and respond quickly to customers’ possible inquiries. All these factors ensure a great purchasing experience for your customers which means higher seller feedback for your business. As we know, seller ranking is an important metric for the Amazon algorithm. What’s more, you have to manage and update the inventory level regularly. If you are the Amazon Buy Box holder, you have to cope with the market demand of the product. You have to keep enough units of the item in stock for the fast-changing Amazon market and avoid dissatisfaction from customers. In conclusion, Amazon is a great market place for sellers to leverage resources to promote their business. An excellent marketing strategy will help you to boost your sales and conversion rate. Hopefully, you will find the above tips helpful for your business. If possible, you can incorporate some of them into your marketing strategy for successful business promotions. So do you sell on Amazon? 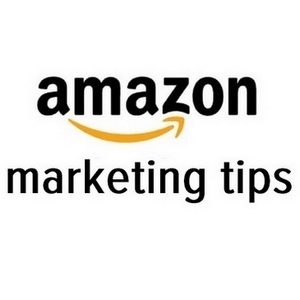 Do you have any Amazon marketing tips of your own that you would like to share with us? Leave them as a comment below. Make sure that you subscribe to the comments so that you are notified when I reply. Sharline Shaw, the founder ofleelineSourcing.com. She is an expert on the Chinese export trade. 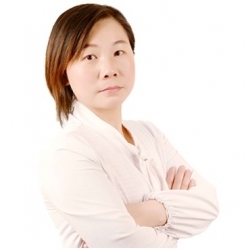 With 10 years experiences in the field of sourcing in China, she is familiar with all relevant regulations and laws about China's exporting. She'd love to share her experience with people and has written many helpful articles. Sharline Shaw, the founder of leelineSourcing.com. She is an expert on the Chinese export trade. With 10 years experiences in the field of sourcing in China, she is familiar with all relevant regulations and laws about China's exporting. She'd love to share her experience with people and has written many helpful articles. These 9 amazon tips are the best amazon marketing tips I have ever seen in my life. My favorite are 5 and 7. After reading this article I want to start a business on amazon too. Awesome tips I have seen some of these tips in a premium course of $250. Nice post by the way.